Let’s face it, traveling is one part amazing and one part awful. The amazing part is that we’re going on vacation somewhere (at least, I hope), and we’re getting away from our everyday, boring, stressful lives. But, the bad part is that going through airport security is usually a huge pain in the a**. Honestly, who wants to be barefoot in a public airport? Not me. 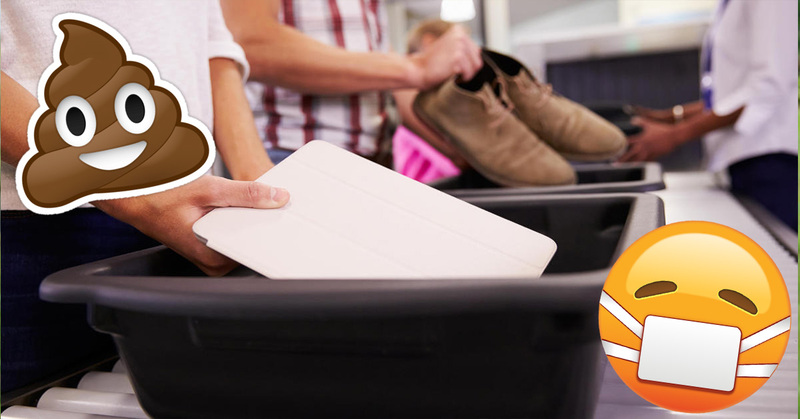 To make going through TSA and security clearances even more disgusting and awful, it turns out that those bins you through all of your belongings in–your phone, your bag, your passports–have more germs on them than a toilet seat. 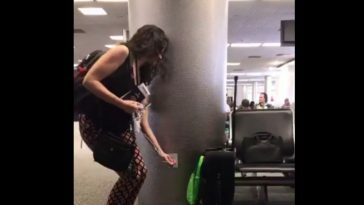 The study, published in the BMC Infectious Diseases Journal, looked at the “germiest places in airports.” The study found that in airports, there are viruses on 10% of all items tested. Among these items were the security bins, passport and ID checking counters, card machines at bars/restaurants/stores, and even staircase and escalator railings. The study indicated that the most common virus was cold and flu. According to researcher Jonathan Van Tram, the study was done to see why people get so sick while traveling–and, so fast. It turns out that it’s not so much in the aircraft itself, but all the moments leading up to take off. 1. Travel wish way fewer belongings or check your bags so you don’t have to shove things into these bins. 2. Carry hand sanitizer and wash your hands at all times when you’re using anything in an airport. 3. Wipe your phone down after putting it in the bin. Just do it.